A Chinese American tells you: What do foreigners get up to in China? Have you ever wondered what brings foreigners to China and what do they do while they are here? On the streets and lanes of China, we see increasing numbers of foreigners. Speaking various foreign languages or strangely-toned Chinese, they have become part of our life. It is now quite common to see blond hair on the people walking along the street. The sight of a foreign face is no longer a novelty. But foreigners remain a tiny minority in China. Few people know them well. Many ask themselves: What brings foreigners to China, and what do they do while they are here? 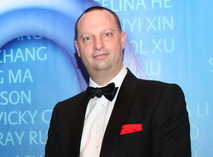 42-year-old Peter Nestmann, CEO of Allianz China General Insurance Company Ltd., believes it is essential to look to the future of your business and that where you are located is central to success. In the heart of Guangzhou's Tianhe District, what looks like a gleaming blue shard of glass and steel rises 1,444 feet into the burning summer sky over Zhujiang Avenue West. Completed in 2010, the International Finance Center (IFC) is the ultimate statement of the city's quest to become the financial center of the region, three years earlier in 2010 having been named one of the five National central cities in the People's Republic of China. Now, leading the garment manufacturing kingdom with an annual production of 10 million pieces, Selcuk says his China dream has just begun as the smart businessman sets his sights on the consumer market of the world's 2nd biggest economy. Wearing colorful clothes and a humble smile, Selcuk Alperen has made quite an impression on the global fashion industry and the Chinese market. 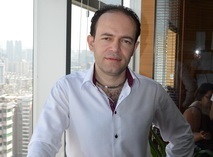 As CEO and Chairman of Guangzhou Weibo Company, a worldwide merchandising production organization under Munich-based Insight Group, Selcuk's wealth of experience and impeccable timing is currently establishing the biggest Turkish clothing chains in China. 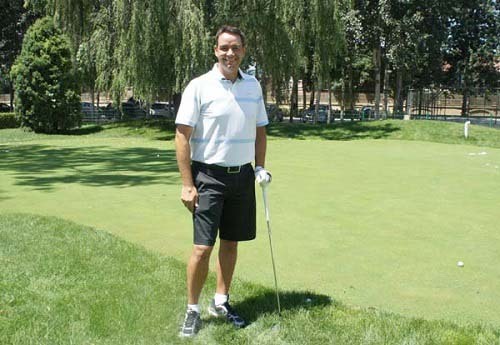 Bobby Miller arrived in Beijing in 2000, fresh from helping to establish golf courses in Hainan. His wife is from the capital and Miller wanted a job that was stable, allowed him to live in Beijing, and would indulge his love of golf. He also heard there were few people teaching golf in Beijing. "There was an Australian man and his son and a Swedish guy and they all had contracts - the Australian's with Sony Ericsson, the Swedish guy with Volvo. They had these awesome deals where they were getting paid lots of money," he says, describing the other golf instructors in Beijing at that time. The bold young man started with holding a note for job offers at the local airport and finally became the boss of a B2B website and a bilingual magazine. When Mudar Abou Asi was offered a scholarship in 2005 to complete his masters and doctorate studies in China, he could not have foreseen what an important part the country, and in particular the city of Guangzhou, would come to play in his life. Mudar grew up in a city south of Damascus, the capital of Syria. He spent some of his schooling in Libya, as his father worked as a teacher there for some time. He did well in his studies at Damascus University which won him the opportunity to travel to China to continue his studies in chemistry. The 3-months he spent looking for a job in vain before returning to study taught him that he could not rely on academic qualifications alone to earn a living. Furthermore, finding himself in the hustling bustling and business city boasting a long history of trade and the host of China's largest import and export fair, the graduate just could not keep himself away from the business world.